I discover many an inspiration for a sewing project on Pinterest, and my Pinterest Craft Board is full of ideas which I hope some day to find the time to make. 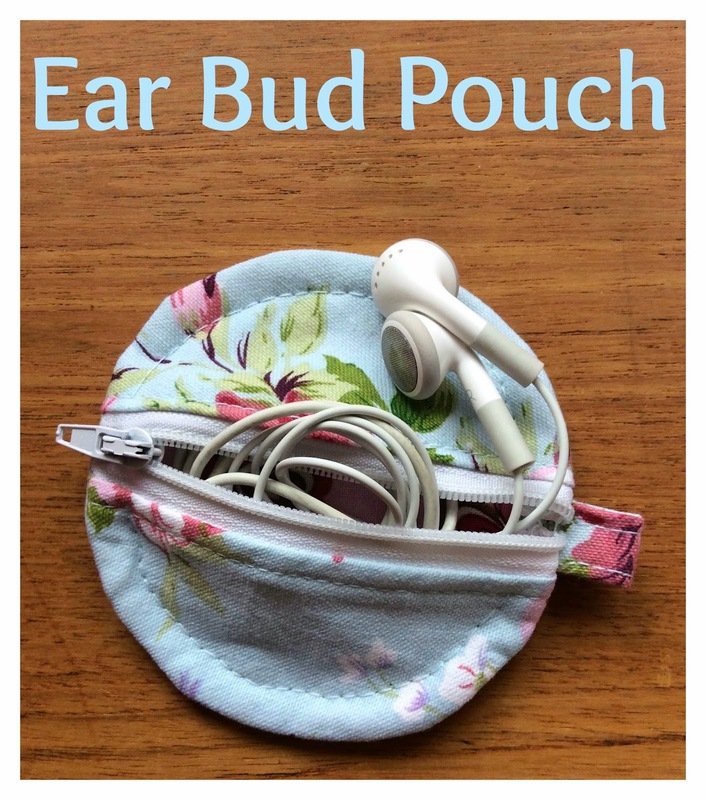 There is one particular sewing project I have now made several times, a pouch to keep my ear bud earphones in. Which is far better than the tangled mess of wires I was unravelling at the bottom of my handbag every time I needed to use them. I used the free tutorial of Dog Under my Desk, shown in the pin link. 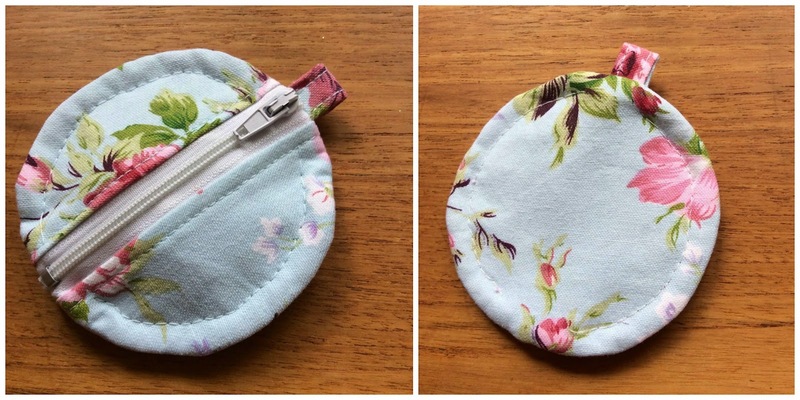 Having made this three times I realised after the first attempt that you can not afford to miss out the use of interfacing. Also when completing the final step of topstiching using my sewing machine I turned my handle to stitch and not the sewing machine foot. There are so many layers of fabric my machine struggled with the thickness and control of the speed of the needle - slowly does it is this key to a neat and tidy topstitch. I have kept my first attempt for myself it is not the tidiest, the others have been given as Easter and birthday gifts to members of my family. You can view and follow my Pinterest Craft board using the link below. Follow Garden Tea Cakes and Me's board Craft Ideas on Pinterest. This is so cute! Always lovely to find a fellow sewer who blogs. I don't actually use earphones that much (mostly cause I forget to take them with me) but if I had one of these in my bag I think that would change things! I've started following you on Pinterest too. This is such a fab idea! I am forever trying to untangle my headphones! I will need to give this ago, however will need to hand stitch as don't own a sewing machine!